I research the health and wellbeing of babies and their mothers. For years I have researched the mechanisms behind preterm birth and what causes a woman to go into labour early. The time at which a baby is born and also the weight at which a baby is born are both major determinants for their lifelong health. My work into Indigenous health aims to bridge the gap between Indigenous and non-Indigenous health outcomes beginning right at the beginning of someone's lifespan. I ultimately aim to improve the health and wellbeing of all babies across the world so that everyone is given the best possible start to life. I got into research in order to understand the world around me which continues to fascinate me everyday. The most complex and interesting part about the world around me are the people in it, and that's why I do what I do. My research is directed at improving the welfare and the wellbeing of everybody on the planet. A major determinant of whether you are healthy or not is whether you are born at the right weight and at the right time. This is closely linked to your intellectual and physical abilities which determine your ability to participate in education and significantly contribute to your freedom on the planet. So that's why I'm working to improve the birth weights and health of all babies on the planet. Laureate Professor Roger Smith AM is Co-Director of the HMRI Pregnancy and Reproduction research program and Director of the Mothers and Babies Research Centre. In 2013, Laureate Professor Smith was awarded a Member of the Order of Australia for his outstanding contribution to the field of human pregnancy physiology, highlighting his respected position within the community. For over 30 years, Laureate Professor Smith has researched the biology behind human pregnancy and the hormones that regulate it. He has been central in investigating the role of the hormone CRH (corticotrophin releasing hormone) and how it contributes to the maintenance of pregnancy and the induction of labour, a finding that has been a major step in understanding the mechanisms of human pregnancy in recent times. The role of CRH has also been studied in pregnancies that deliver preterm (less than 37 weeks gestation) by Professor Smith and his group who are working to characterise CRH levels in the mother as a potential biomarker for preterm delivery. Laureate Professor Smith is also involved in research into other aspects of pregnancy including genetic factors and changes in other hormones and their receptors including progesterone, which is another critical factor in the initiation of labour in humans. Studies looking at the health of pregnant women and their babies are also being conducted in Nepal and in Indigenous Australians to determine if the birth weight of babies can predict their behavioural development later in life. Laureate Professor Smith has been integral in establishing the successful Gomeroi Gaanyggal project operating in Tamworth, Newcastle and Walgett, NSW which aims to use art as a medium for increasing Indigenous women’s access to healthcare during pregnancy. Laureate Professor Smith is an internationally-recognised researcher with over 250 research papers published in journals including Nature, Nature Medicine and the New England Journal of Medicine. He has presented at over 100 scientific conferences and received over $20 million in project funding. Laureate Professor Smith is also the Director of the Department of Endocrinology at the John Hunter Hospital and is a Life Member of the Endocrine Society of Australia. 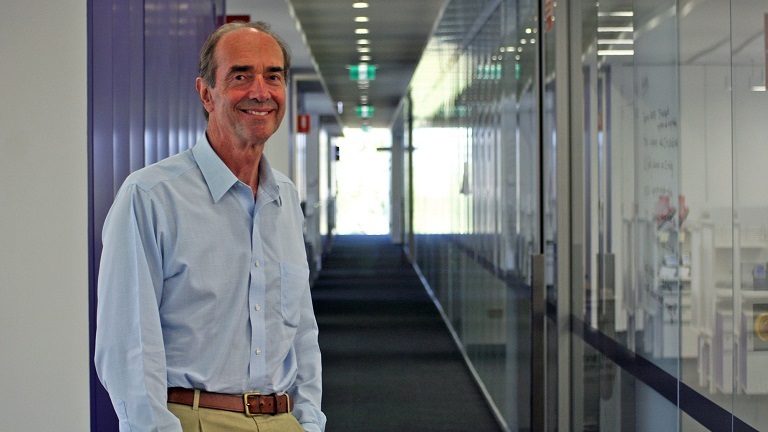 More details: See Laureate Professor Roger Smith's University of Newcastle researcher profile. This proposal seeks funding to establish a Targeted Nanoparticle Development Facility within the Hunter Medical Research Institute. We also seek funding for a post-doctoral scientist who will use the technology to develop novel diagnostics that will identify cancer metastases from thyroid and ovarian cancers, locate other endocrine cancers and importantly develop new ways of treating ovarian and thyroid cancer through improved delivery of existing chemotherapy drugs. Premature birth is the most common reason for a newborn baby to die. Unfortunately, current treatments for premature birth are not very effective. We have developed a mechanism for targeting the delivery of drugs to the uterine tissue, which we believe can be used to prevent or block preterm labour. Background: Pregnancy is a precious event offering a human value to the biosphere. It is special to every woman and societal unit. Women suffer in comparison with men over a wide spectrum of human activity. The health situation of women in Nepal is poor. Maternal mortality in Nepal is among the highest in Asia (over 190/100,000 live births) and one of the worst ten in the world (WHO 2015). The charitable purpose of this grant is to deliver liposomes, coated with an antibody that recognizes the oxytocin receptor (OTR), directly to the muscle of the uterus. Premature birth is the most common reason for a newborn baby to die. Unfortunately, current treatments for premature birth are not very effective. The research team has developed a mechanism for targeting the delivery of drugs to the uterine muscle which they believe will prevent or block preterm labour. Pregnant women are much more susceptible to viral infections. Comparison of the number of mitochondria in cells between placental cells and fetal lymphocyres. Quantitive EEG analysis of the maturational changes associated with childhood and juvenile absence epilepsy.